nurturing independently produced shows working cooperatively with others, sharing content, news, and practical experience. Google+Occupy PublicAccessTV – Watch the shows available for public access TV. Shows available for any Public Access TV station in the country – and world – to broadcast. 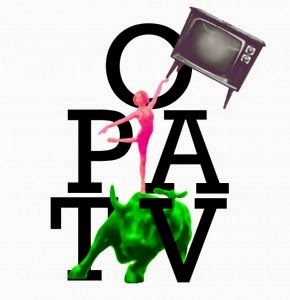 Your Occupy related shows on YouTube can be converted for broadcast on Public Access TV by Occupy Public Access TV. Contact us to submit your shows. There is no charge for this service. Join the activist team - getting more shows available for public access TV broadcast and or getting each and every local public access TV station broadcasting OccupyPublicAccessTV shows. Contact. The quickest way to submit an occupy related show for Public Access TV stations to broadcast is to put the show on YouTube and email the YouTube URL to Contact. The show will then be converted to public access TV video and audio format and uploaded to PEGMedia for public access TV stations to broadcast. Standard public access TV shows are either 28:00 of 58:00 max. Shows 28:00 or less get the most broadcast time. A few minutes less than the max time is ok. Any show less than 58:00 will be broadcast. It is better to have shows that are complete on YouTube with no further editing needed. Including a Title, Description and tags for the stations to use on their schedule. No copyrighted material is accepted by Public Access TV - especially music ... Please remove any copyrighted material from the YouTube video. Shows that stations feel nurture their community will get considerably more broadcast time. Public Access TV stations are mandated to provide shows that cover a wide and diverse audience. OccupyPublicAccessTV is creating a resource of ready to broadcast films that any public access TV station can select to broadcast. The local groups facilitating their local station to have these films broadcast can also encourage local shows to be produced and broadcast also. Shows produced locally, that are useful for other places, can then be made available to OccupyPublicAccessTV for any other public access stations to broadcast.